Does Carter and Holmes Orchids Sell Wholesale? Carter and Holmes does offer wholesale pricing and quantity on certain items, as availability allows. Discount will vary by item. In general most of our offerings are young, pre-finished material in young pots that will need to ge grown to flowering size. At this time, we are not usually able to provide budded or ready to bloom material on a wholesale basis. What does 'Limited Edition" mean? Limited Edition refers to seedling crosses or mericlones that were produced or germinated in extremely limited quantities. We may only have a few dozen plants available and they will go on a first come basis. What do you mean by 'Seedling'? We do not use the term seedling to refer the overall plant size but instead to indicate which plants are produced by seedpod culture. Seedlings are simply listed with the four or five digit number assigned to that cross/batch. You should expect some variation in size, shape, color, markings and form among these plants. How can I tell if a plant is a 'Mericlone'? Items with “M” preceding/included in the four or five digit product number are mericlones (produced from tissue culture), also called meristems, and are expected to be identical to the photo shown. “Grex” refers to the specific parentage used to make a hybrid (cross). Different cultivars (clonal varieties) can produce different results in the offspring. When a hybrid cross is made, all of the seedlings grown from the resulting seed pod are considered to be from the same grex. “Bare-Root” plants may be from overgrown pots or community flats. All are ready for at least 2.5”-3” pots and may be larger as descriptions state. What does 'Near Blooming Size' mean? “Near Blooming Size” indicates plants that are large enough to flower in season within 12-18 months or less. It does not mean that plants are shipped in bud or bloom. What does 'Blooming Size' mean? “Blooming Size” indicates plants that are large enough to flower in season, within 12 months or less. It does not mean plants are shipped in bud or bloom. What is a 'Standard Cattleya'? The term Standard Cattleya generally refers to plants having a large growth habit, being a minimum of 15”-18” tall at maturity and having blooms four inches or larger in diameter. Many plants in this group are noticeably fragrant and most will require strong, indirect light to do their best. What is a 'Compact Cattleya'? Compact Cattleyas are generally 8”-12” in height when mature, with blooms smaller than four inches across. What is a 'Miniature Cattleya'? Miniature Cattleyas will be shorter than 8” with blooms expected to be smaller than four inches in diameter. Many mini-catts will grow and flower well in a well lit windowsill or under artificial growing lights. What do you mean by a 'novelty cattleya'? Most orders are shipped within 7-10 business days of placing the order. This will vary during our busier times, as we always prioritize by when the order was placed. In order for our plants to arrive in the best possible condition, we need to ship early in the week to avoid plants sitting in shipping hubs over the weekend. We also watch the weather to make sure the temperatures are not too hot or cold en route or at the destination. Orders generally arrive 2-3 days after we ship which means that orders to certain states need to be shipped earlier in the week to arrive before the weekend. Our Shipping days are Monday, Tuesday and Wednesday. We ship only to certain areas on Thursday and we do not ship Friday, Saturday or Sunday. For example, if you place your order on a Wednesday or Thursday and you live in California, your order will likely wait until the following Monday or Tuesday to ship. Can you tell me more about Promo Codes? * When you first sign up to receive our Email Updates, you will receive a one time use promo code for your first order. 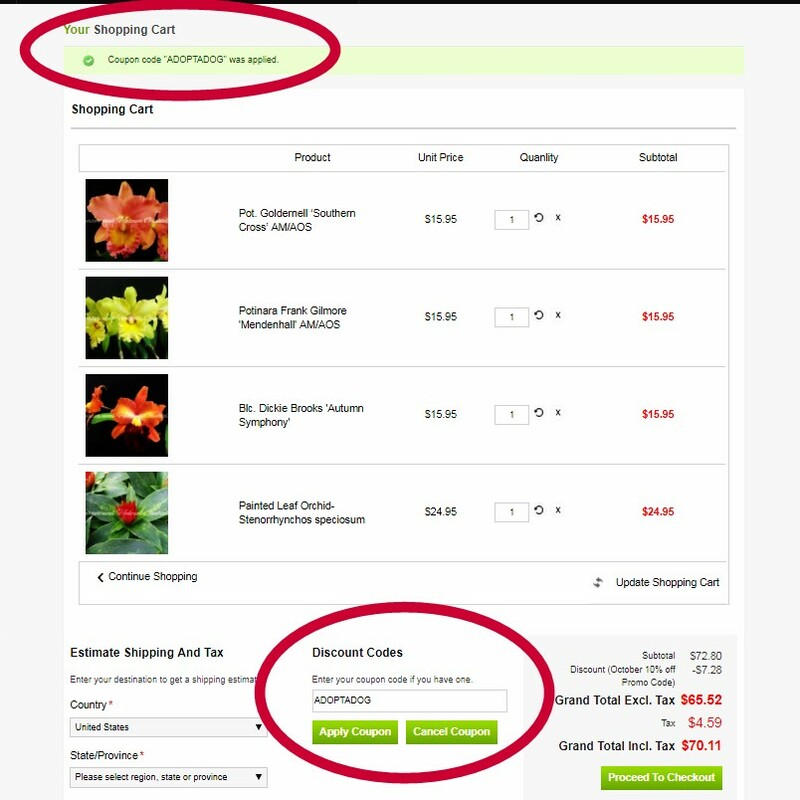 This promo code will apply a 10% discount to all the regularly priced plants in your shopping cart. * Each month we issue a Promo Code that is good for orders throughout the entire month. Promo Codes are only found in our Email Updates that are sent once or twice per week. 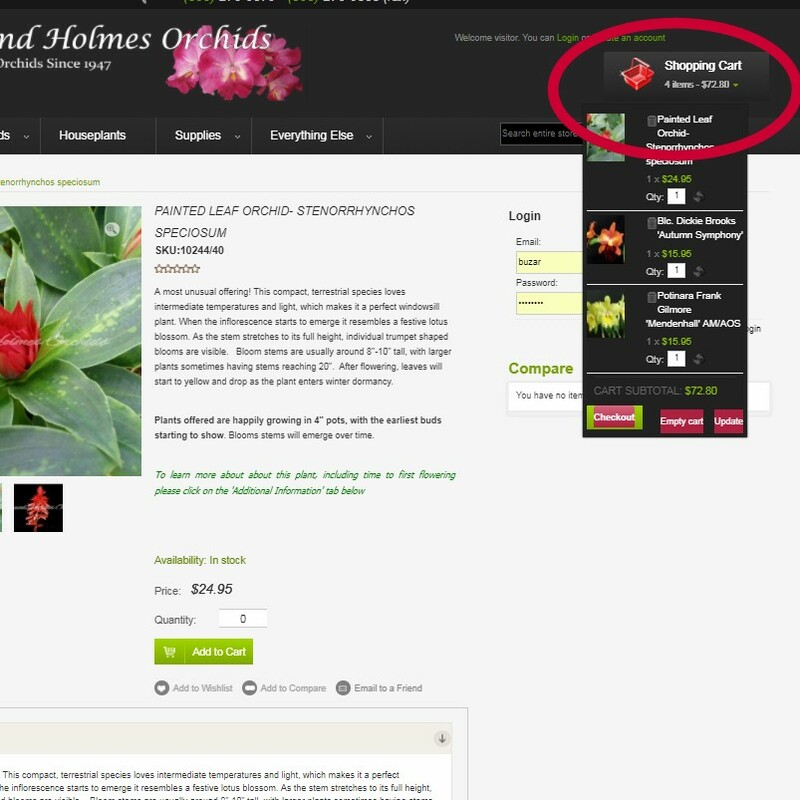 In general, the promo code will apply a 10% discount to all regularly priced plants on your order. Occasionally we will have other sales, or discount amounts that this promo code will work for. Each monthly code can be used for orders placed by phone, fax, email, web or in person at our nursery and there is no limit on the amount of times you can use it. * To use a promo code on our website, finish making your selections and click Shopping Cart. You will see a box below your order summary for discount codes. Type or Copy/Paste the code exactly as you see it written. If your code is valid and will apply to your order, you will see a green banner saying the code has been applied. After this, click Checkout to finalize your order.